Neo Silver proves to be a surprising rum, both rich with its long aging process and light at the same time. It is one of the oldest white rums that can be found on the marlet today. 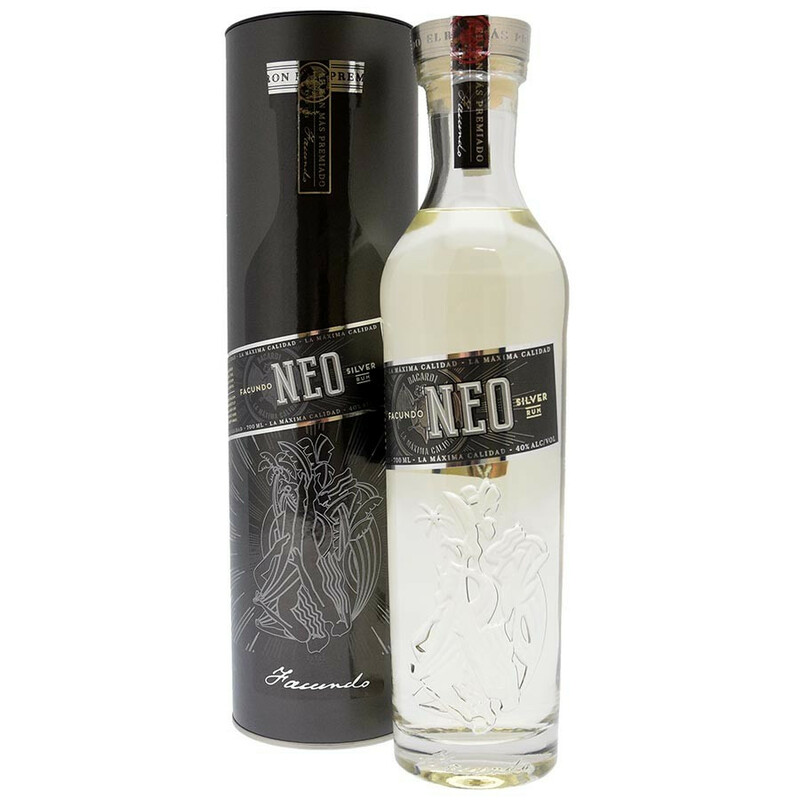 With Neo Silver rum, Bacardí offers the most complex rums of its Facundo collection. It is a luxurious blend of rums aged in oak barrels for up to 8 years. The rums have been carefully assembled to offer an exceptional experience. They were then filtered with charcoal to reveal a complex aromatic profile with an exceptionally soft and delicate finish. Neo Silver proves to be a surprising rum, both rich with its long aging process and light at the same time. It is one of the oldest white rums that can be found today. Facundo is a collection of four exceptional tasting rums, elaborated masterfully from the rarest and finest rums of the private reserve of the Bacardí family. Each of the Rums of the Facundo Collection comes from the most coveted private reserves of the Bacardí family, including a distillery located in Puerto Rico. These spirits are very rare because they have been created with unmatched quality standards so far. Don Facundo Bacardí Massó founded his family business in 1862 with a bold vision: to reveal the best of rum to the world. On the anniversary of the founding of his company, 150 years later, the Bacardí family brought out some of the finest and rarest rums from its private collection, which is today one of the most complete in the world. Impressed by the extraordinary quality of these spirits and inspired by the example of Don Facundo, the family is committed to launch a collection of exceptional tasting rums, a collection created from the best vintages of its personal reserve. Nose: slightly fruity with a subtle touch of almonds and floral notes reminiscent of orchid and vanilla. Mouth: fruity notes come to life with a touch of carambola and dried fruits as well as shades of candied almonds. Finish: a lively and vibrating rum that offers a very nice neat and balanced finish.